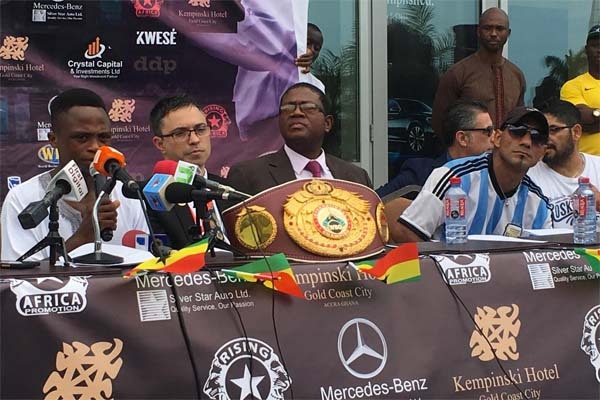 Isaac Dogboe and Javier Chacon took part in a final press conference on Friday at the Kempinski Hotel, Gold Coast City, Accra, Ghana before today’s fight at the Bukom Boxing Arena in Accra. 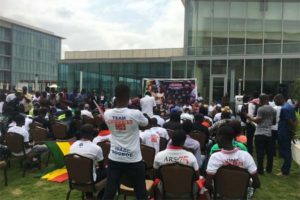 Both fighters were respectful but confident as they talked about the upcoming clash. 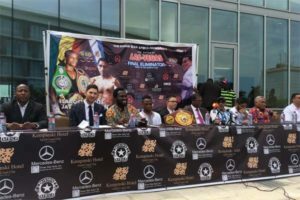 Dogboe recognized he was facing off against a world class opponent in Chacon, brother of former WBO featherweight champion Juan Pablo Chacon. Javier Chacon has twice fought for a WBA world title and has won five in a row. 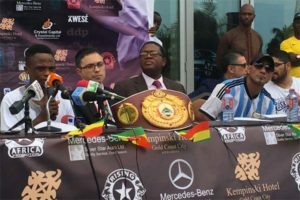 But Dogboe nonetheless remained supremely confident and even directed a message to Chacon at the press conference. Chacon was respectful but also promised a victory. Altamura then suggested that the billing of the fight, “The Battle to Vegas”, might be renamed if Isaac performance exceeds expectation.